As temperatures begin to rise occasionally and spring is around the corner, here are some tips to make sure you are physically the best prepared to enjoy spring. 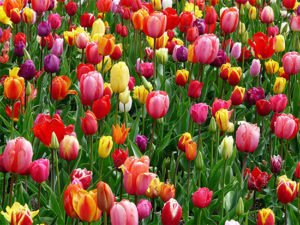 According to Johns Hopkins, more than 50 million people in the U.S. are affected by allergies. About eight percent of adults in the U.S. are allergic to pollen. The time to prepare for tackling your allergies is before they hit you and potentially knock you out of commission. Check your medicine cabinet – do you have allergy medicine? Is it up to date? 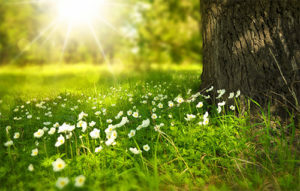 Everydayhealth.com recommends starting your allergy medicine before you need it, before pollen begins to appear on trees, so you can avoid feeling miserable from your allergies. It also is a good idea to visit an allergist before your allergies hit you. If you already feel like you are doing everything you can to combat your allergies, it is interesting to note that peak allergy times during the day are between 5-10 a.m. and that hot, dry days mean more pollen is in the air than cold, rainy ones. When it starts to warm up people naturally want to start spending more time outside. The warm sun feels good, and getting into the yard and garden to plant flowers makes it feel like spring is actually here and can help erase the dreariness that was winter. If you haven’t moved as much or in the same ways all winter, take it easy your first few days outside, especially the first day. Every 20-30 minutes stretch, rehydrate and decide if you feel good enough to continue your activity. Warmer weather can dehydrate you faster and if you haven’t used certain muscles in a while, drinking fluids such as water will help your muscles heal faster. And if you’re feeling hot or tired, take a break out of the sun or even inside, and go back outside when you feel refreshed or even tomorrow. It’s better to ease into activity than to tire yourself out so much you can’t enjoy the next few days because of needing to recover. If you are starting a new workout routine, ease into it. No one trains for a marathon by first running a marathon; take baby steps and listen to your body. Start small and increase your workout as you feel ready. It is not very fun to max yourself out the first day or week outside in your workouts and then need another week or longer to recover, not to mention the discomfort or pain of overcoming stretched or torn muscles from pushing too hard too fast. Flu season will wind down, and everyone associates colds with the weather being cold. While it’s true colds travel faster in cold weather, you can still get a cold in warm weather. Check your medicine cabinet – do you have cold medicine? Has it expired? The worst time to need to go to the pharmacy is when you feel sick. Decide how much medicine you need and stock up while you are well. Hopefully you don’t need to use it, but it would be good to have on hand in case you do need it. We don’t expect to see you often but knowing that Watson Imaging Center’s two locations in St. Louis and St. Joseph, Missouri are here when you need it can put the spring in your step!